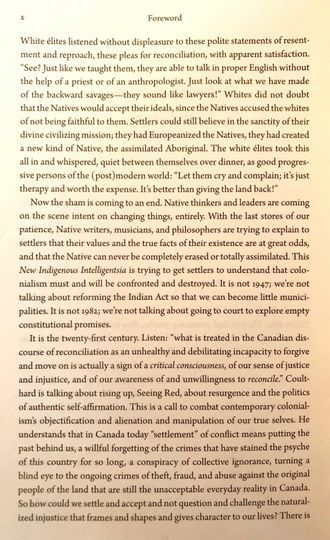 “When we imagine history, we imagine a grand structure, a national chronicle, a closely organized and guarded record of agreed-upon events and interpretations.” Thomas King in The Inconvenient Indian. 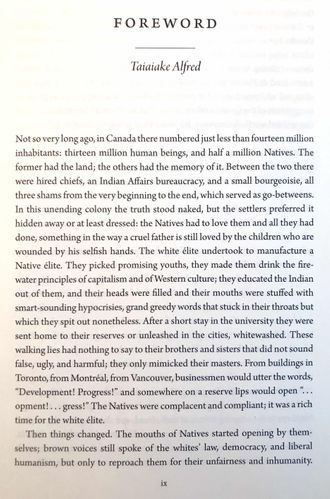 That kind of history becomes especially prevalent during big anniversary years such as the recent Canada 150, when attempts are made to unite the population around a simple narrative of exploration, settlement and diversity. 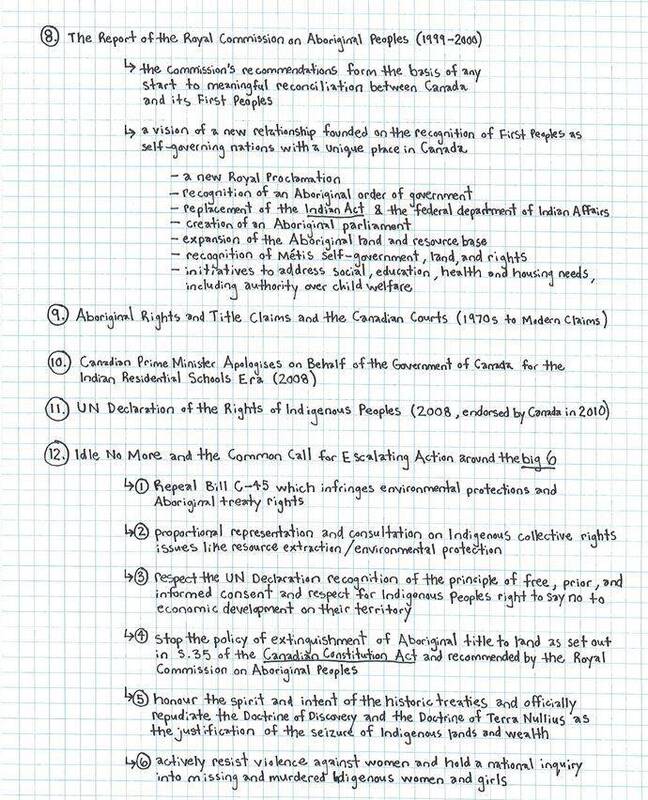 This unit explores major legal issues, and in particular land title, concerning Indigenous Peoples (First Nations, Inuit, and Métis) in Canada. 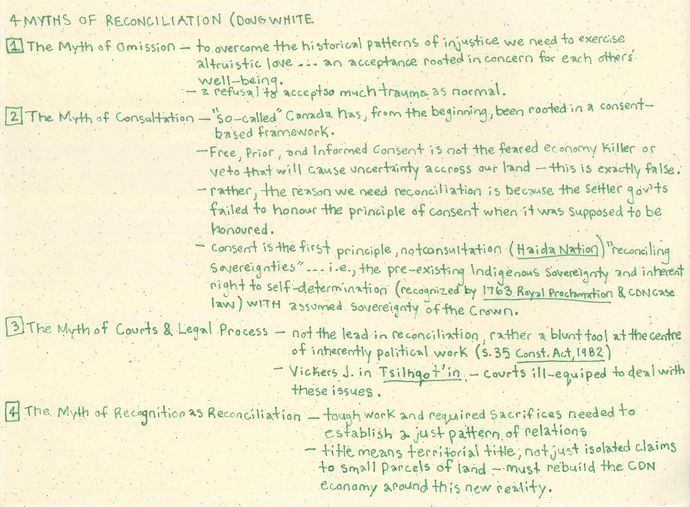 Students will explore the development of Canadian case law relative to these groups and the simultaneous preservation and dispossession of Indigenous people's rights through recognition, reconciliation, and recolonization. 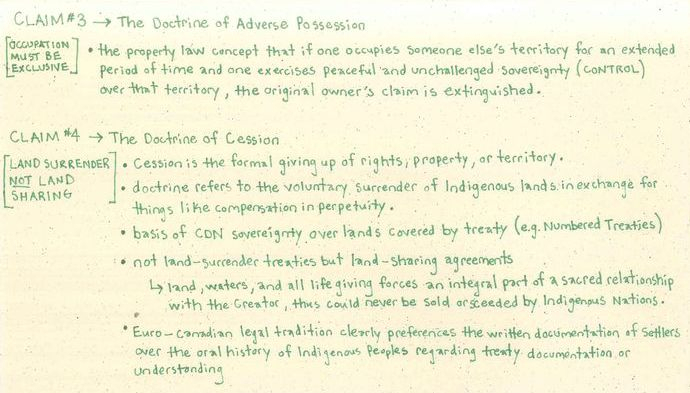 LEGAL CHALLENGE → Prove (or Disprove) the Crown's Assertion of Sovereignty in (so-called) Canada. 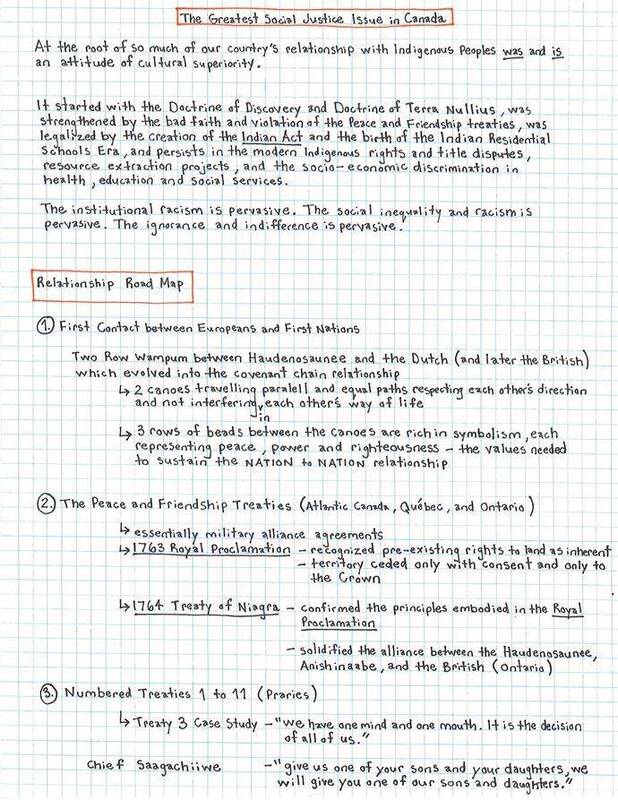 "Occupation being legally an original means of peaceably acquiring sovereignty over territory otherwise than by cession or succession, it was a cardinal condition of a valid 'occupation' that the territory should be terra nullius -- a territory belonging to no-one -- at the time of the act alleged to constitute the "occupation" ... 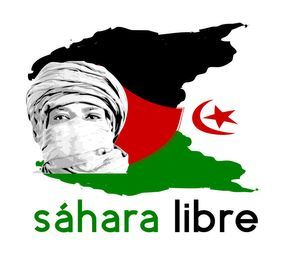 In the view of the Court, therefore, a determination that Western Sahara was a "terra nullius" at the time of colonisation by Spain would be possible only if it were established that at that time the territory belonged to no-one in the sense that it was then open to acquisition through the legal process of "occupation".... Whatever differences of opinion there may have been among jurists, the State practice of the relevant period indicates that territories inhabited by tribes or people having a social or political organisation were not regarded as terra nullius." 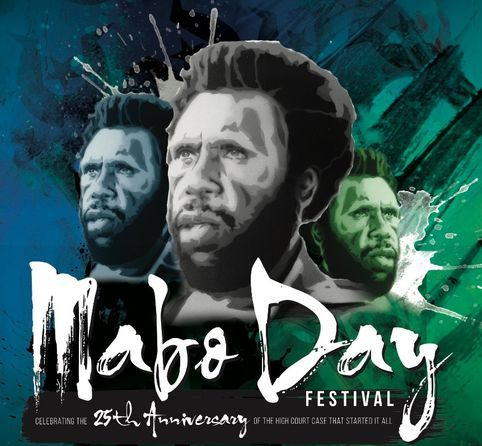 The Mabo decision altered the foundation of land law in Australia by overturning the doctrine of terra nullius (land belonging to no-one) on which British claims to possession of Australia were based. 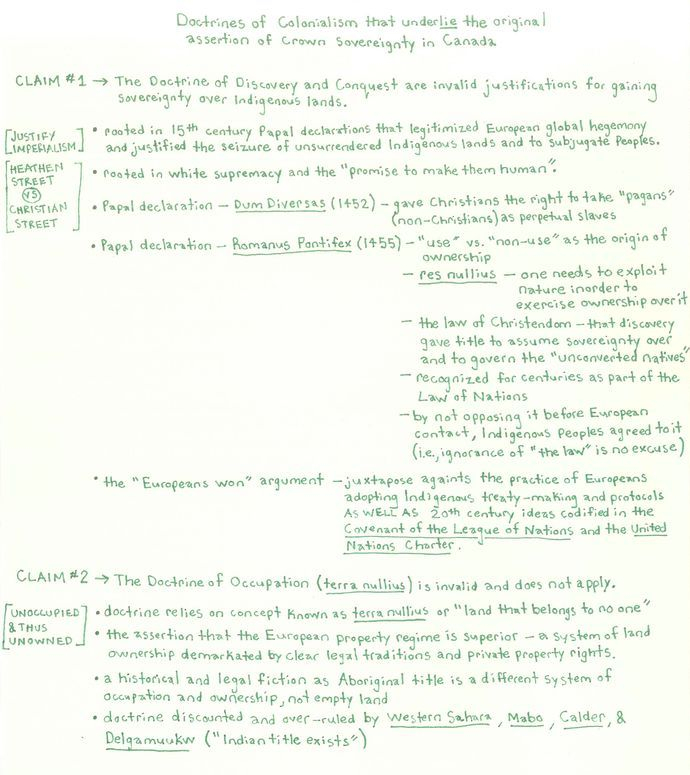 This recognition inserted the legal doctrine of Aboriginal title into Australian law. 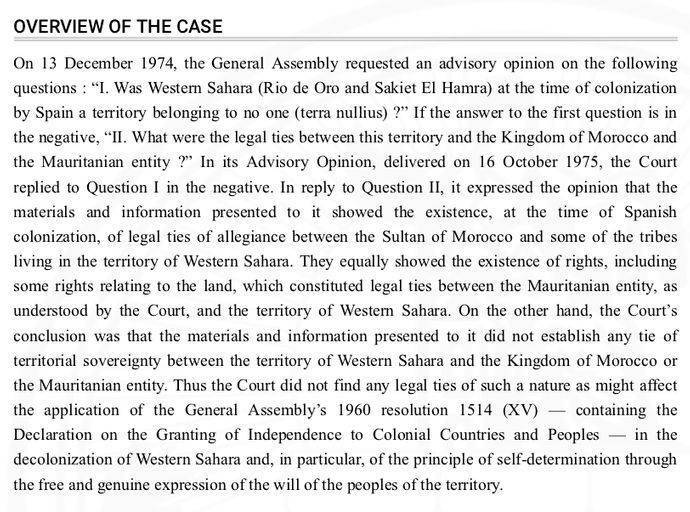 The judgments of the High Court in the Mabo case recognized the traditional rights of the Meriam people to their islands in the eastern Torres Strait. 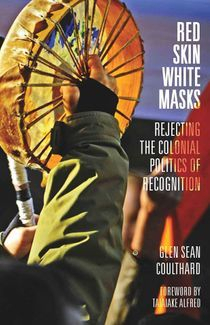 The Court also held that Aboriginal title existed for all Indigenous people in Australia prior to the establishment of the British Colony of New South Wales in 1788. 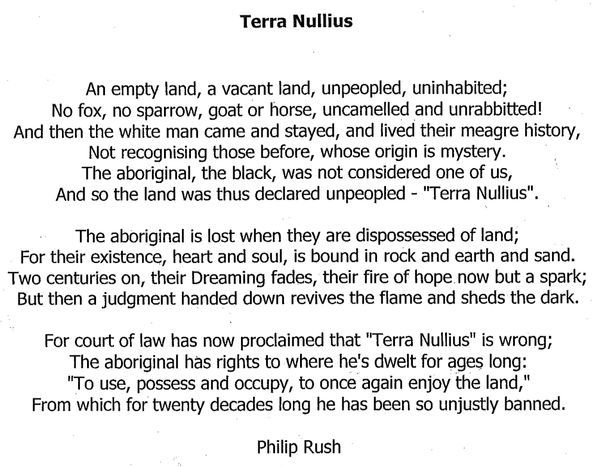 In recognizing that Indigenous people in Australia had a prior title to land taken by the Crown since Cook's declaration of possession in 1770, the Court held that this title exists today in any portion of land where it has not legally been extinguished. 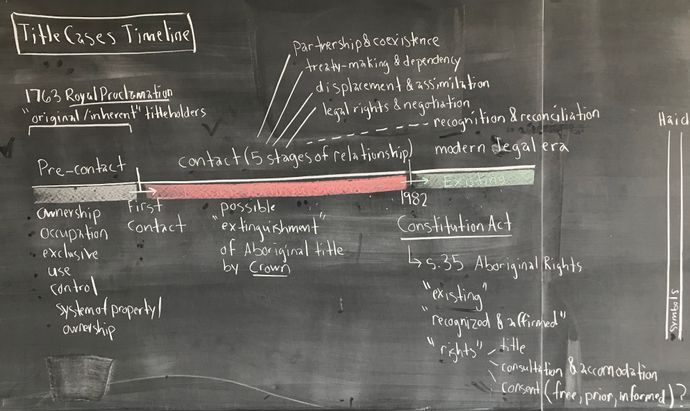 The decision of the High Court was swiftly followed by the Native Title Act 1993 which attempted to codify the implications of the decision and set out a legislative regime under which Australia’s Indigenous people could seek recognition of their Aboriginal title rights. 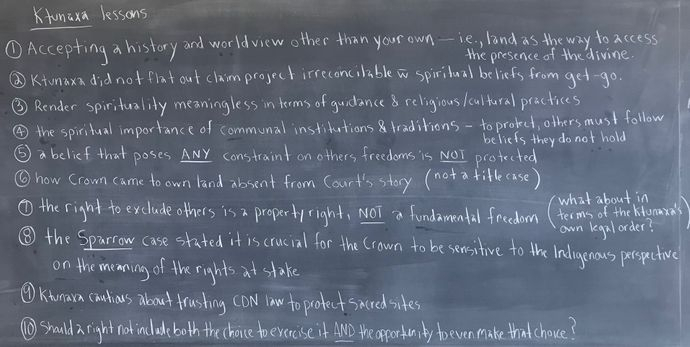 The Supreme Court of Canada, which has expanded aboriginal rights in groundbreaking rulings in recent years, will hear a novel religious-freedom case called Ktunaxa Nation v. B.C. 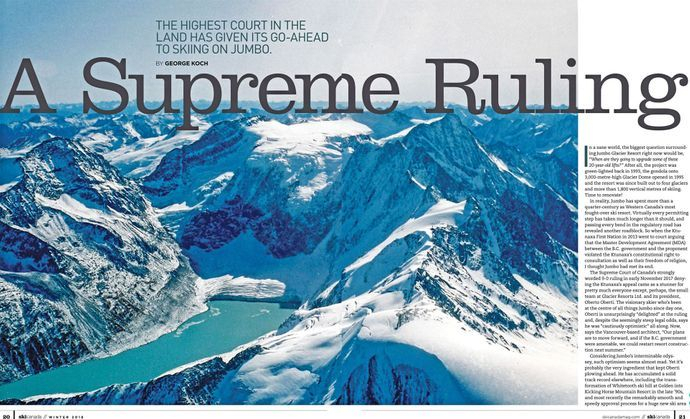 The case involves a proposed year-round ski resort to be built with the province's permission on Crown land that the Ktunaxa Nation calls Qat'muk and says is spiritually important for its people as home of the Grizzly Bear Spirit. 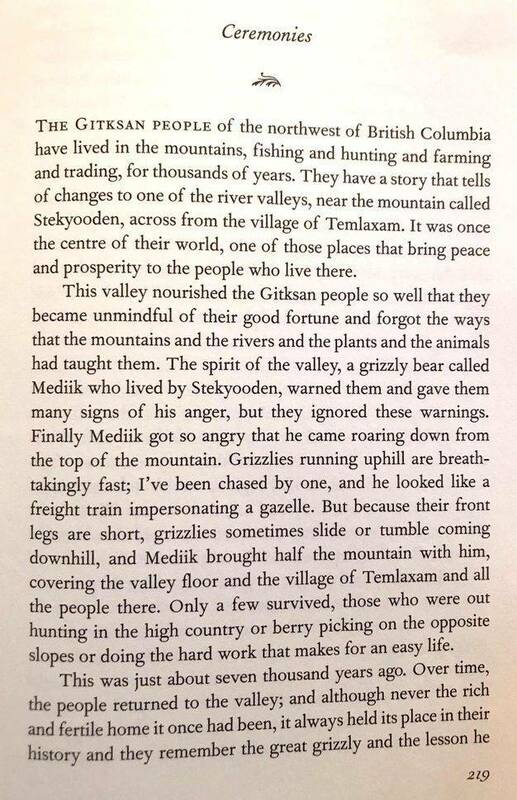 (A Ktunaxa Nation website describes their beliefs this way: "Qat'muk is where the Grizzly Bear Spirit was born, goes to heal itself and returns to the spirit world. 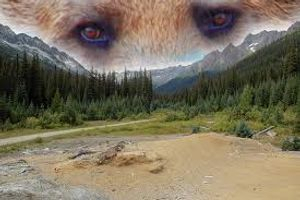 For Ktunaxa, Grizzly Bear Spirit is a unique and indispensable source of collective as well as individual guidance, strength and protection, and a necessary part of many Ktunaxa spiritual practices and beliefs.") 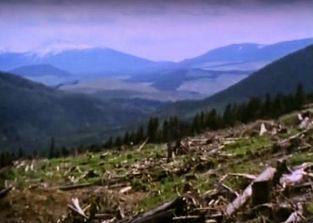 Establishing permanent overnight accommodations on that site would destroy the Ktunaxa's relationship with the spirit, the group says, and render their religious practices meaningless. 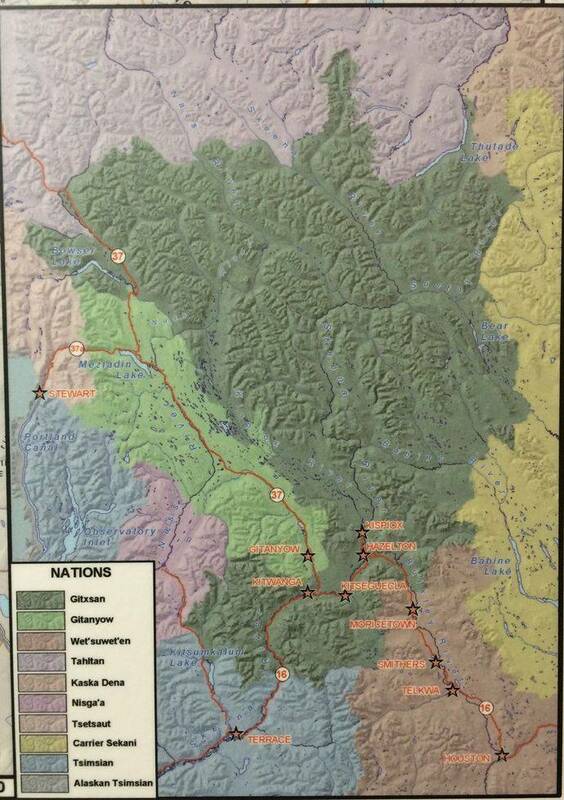 The Ktunaxa Nation lost in the lower courts. 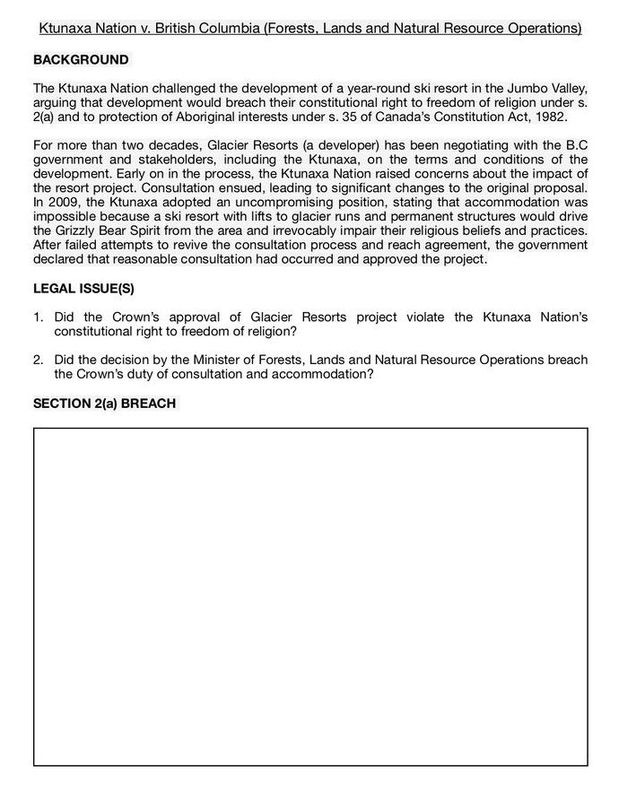 The Crown says there should be no religious veto over development. 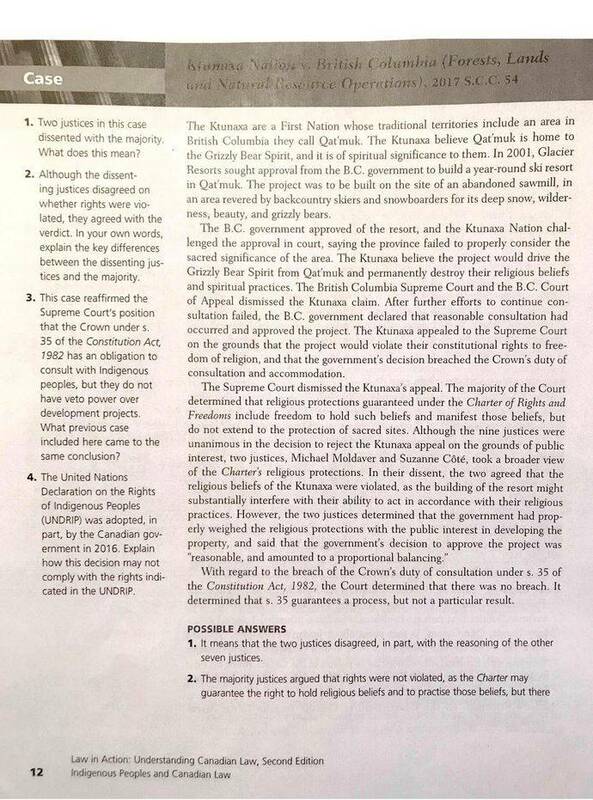 The case "represents the first opportunity for the Supreme Court of Canada to consider whether the destruction of an Aboriginal sacred site constitutes a violation of freedom of religion," University of Ottawa law professors Natasha Bakht and Lynda Collins state. 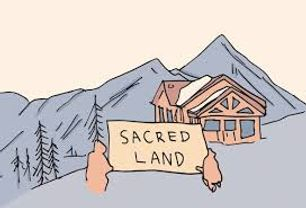 "Sacred sites are as necessary to Aboriginal religions as human-made places of worship such as churches, temples and mosques are to other religious traditions." 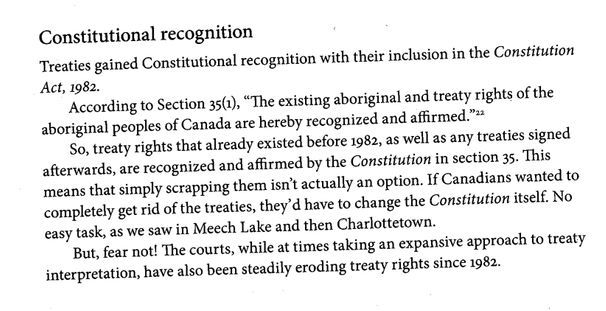 It is important to understand that Section 35 recognizes Aboriginal rights, but did not create them?Aboriginal rights have existed before Section 35.
agreements or may be so acquired. 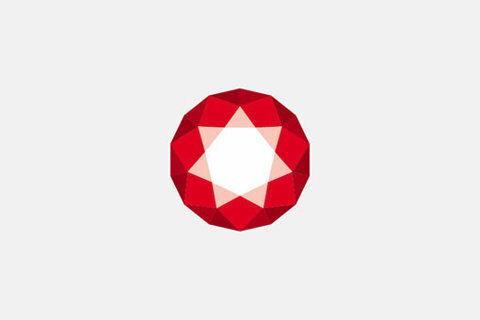 guaranteed equally to male and female persons. 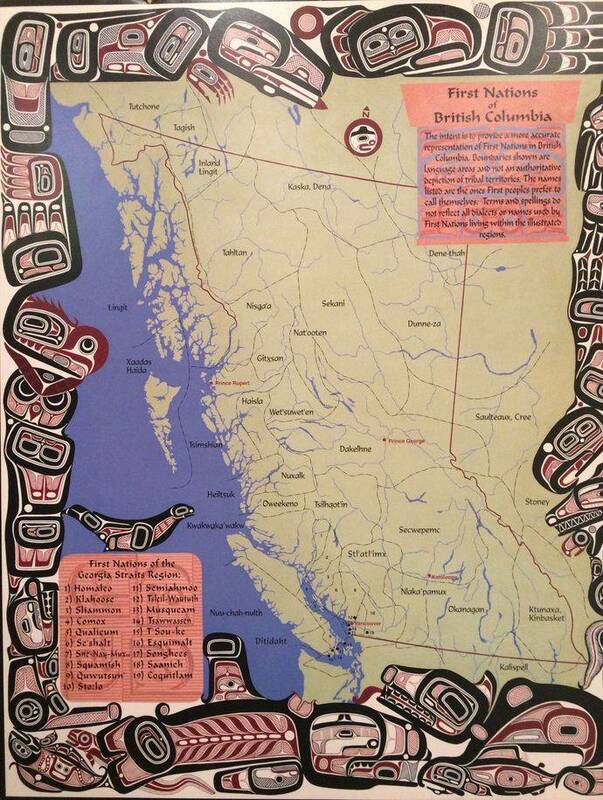 The name Delgamuukw is a hereditary chief name, passed down from generation to generation to new Gitxsan chiefs. 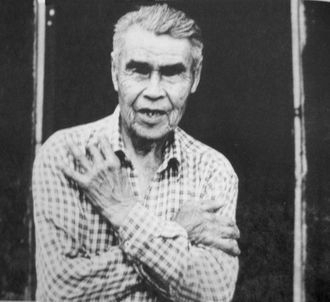 Earl Muldoe, a cited claimant in the case, held the title of Delgamuukw when the trial began in 1987. 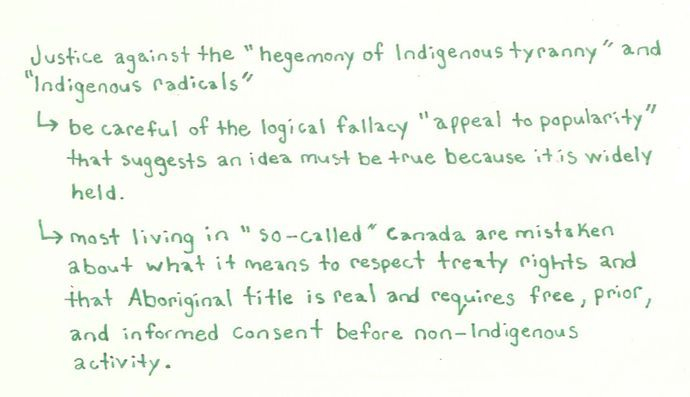 Another commonly cited claimant is Dini ze’ Gisday’ wa (also known as Alfred Joseph) of the Wet’suwet’en nation. 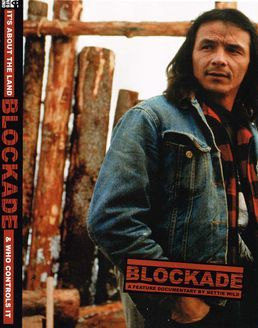 A clearcut in Gitksan territory, British Columbia, from the film Blockade, by Nettie Wild. 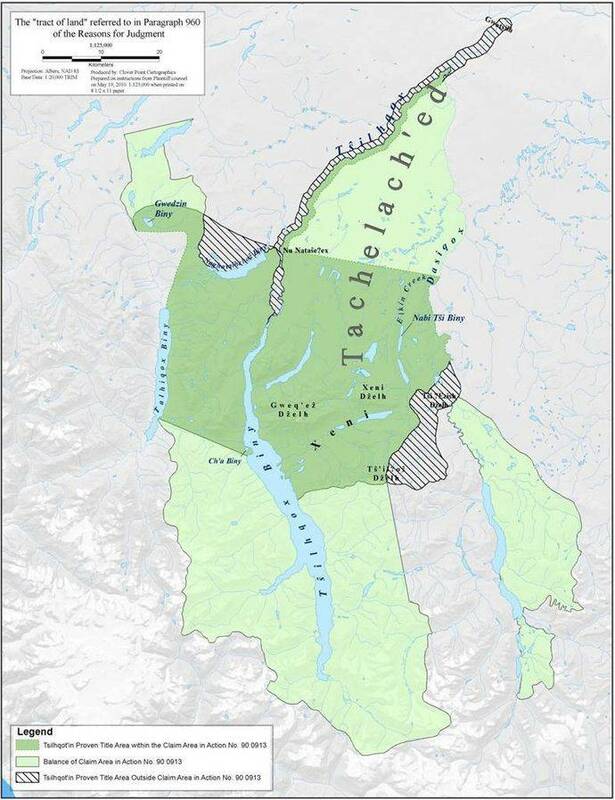 The appellants, Gitksan and Wet’suwet’en chiefs, claimed Aboriginal title, or ownership, to 58,000 square kilometres of land in B.C. on behalf of their “houses”. 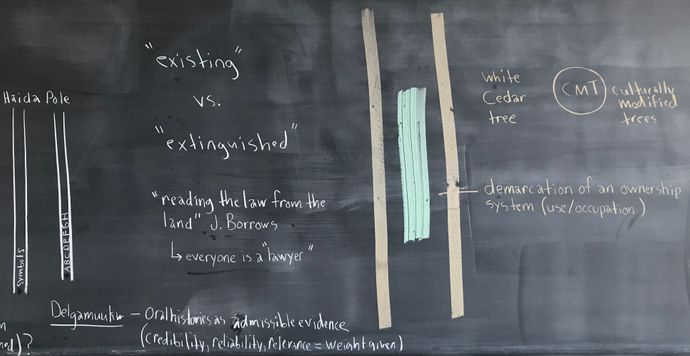 This claim was based on their legal system of property rights and their pre-contact ownership of the land. 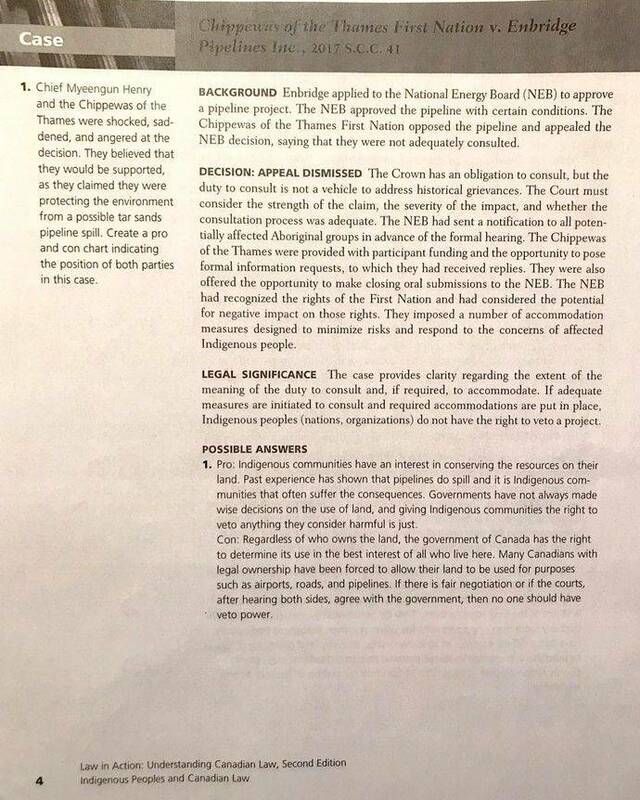 The Supreme Court of Canada recognized for the first time that First Nations held title to their land prior to European arrival on the continent. 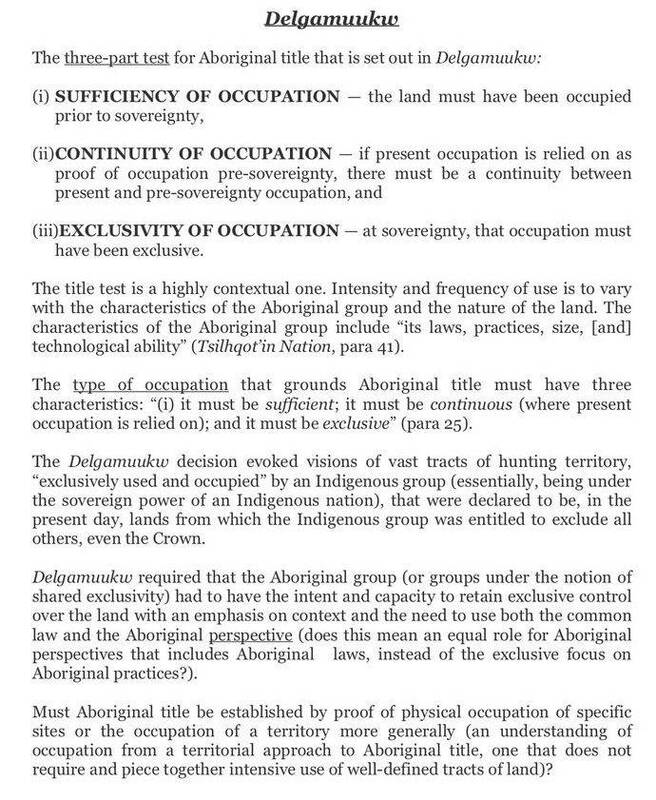 The decision discusses the unique nature and characteristics of Aboriginal title. 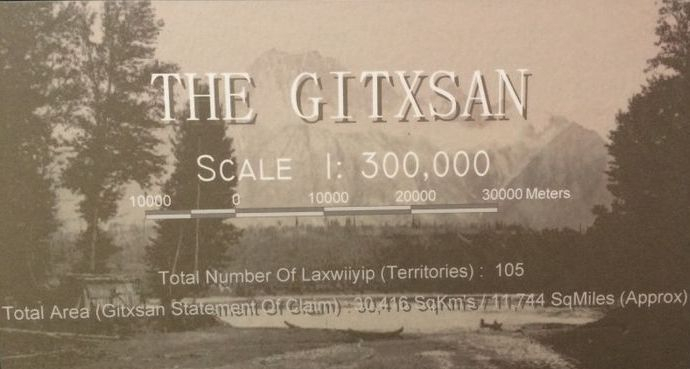 The court decided that that there was not enough evidence to determine if this land was historically owned by the Gitksan and Wet’suwet’en Nations, or whether the Nations had ceded, or given up ownership to the land. 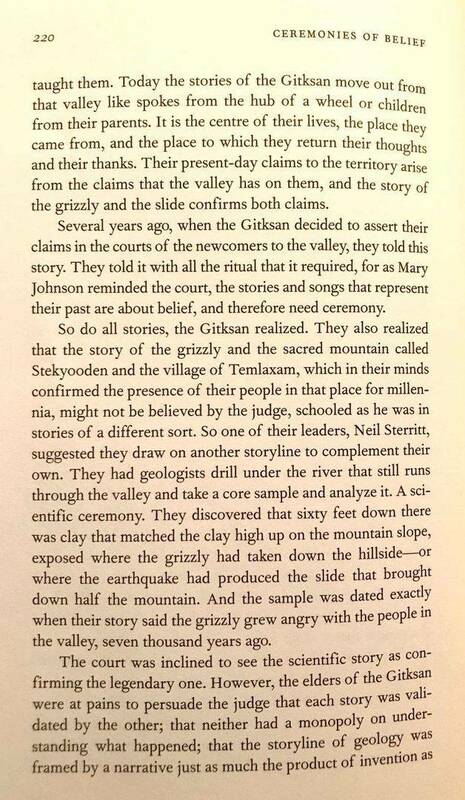 However the court did discuss what kind of evidence could be used to establish a land claim. 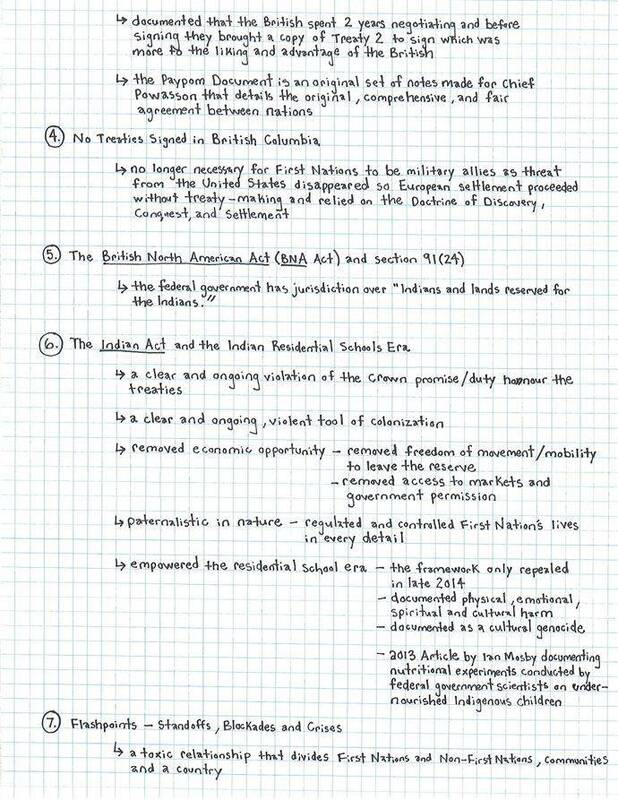 This case creates the legal possibility of a successful claim to Aboriginal title under Canadian law. 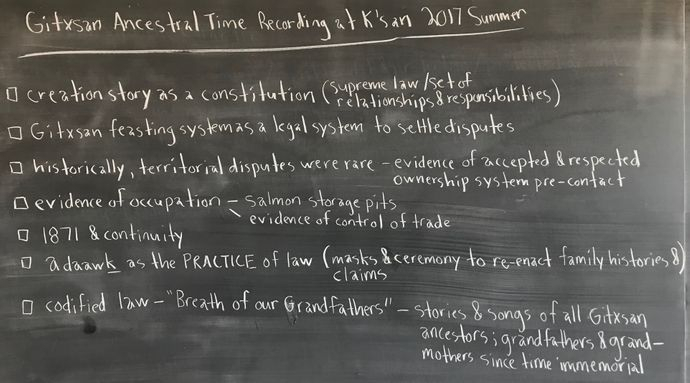 This case is also notable because it recognizes the importance Aboriginal people attach to oral histories and demonstrates how Canadian legal rules of evidence can accommodate oral histories during trial. #1 CBC Out in the Open 08 January 2017 Podcast Episode -- What Does Colten Boushie's Death Say About Us? In August 2016, a 22-year-old Indigenous man named Colten Boushie was shot and killed on a farm in rural Saskatchewan. Farmer Gerald Stanley has been charged with second degree murder in the case. He's pleaded not guilty. Boushie's death has resurfaced divisions in the community and shone a light on racism Indigenous people continue to face across Canada. 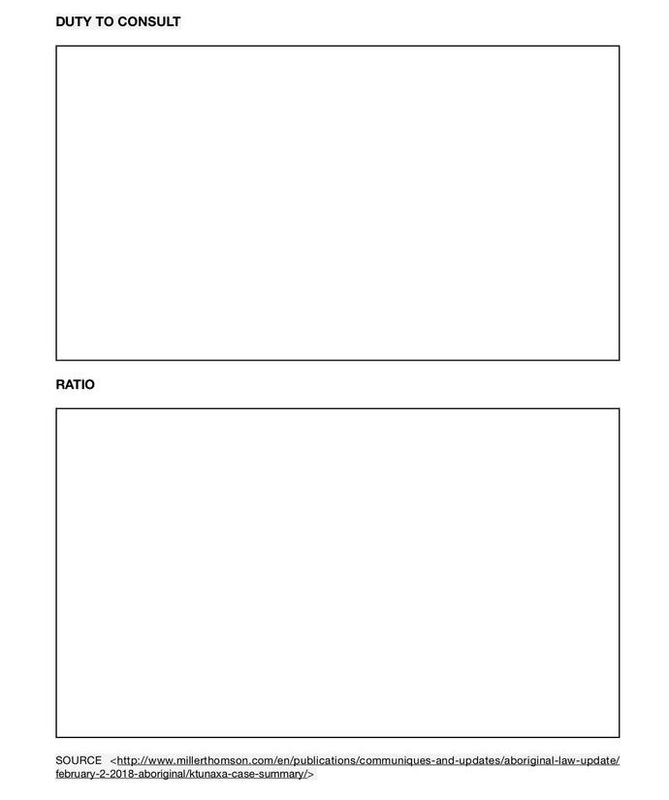 The episode begins with a look at the inquest into the death of Brian Sinclair. Sinclair, 45 was a homeless man and a double-amputee who died at the Health Sciences Centre in Winnipeg of a treatable bladder infection after waiting 34 hours for care. 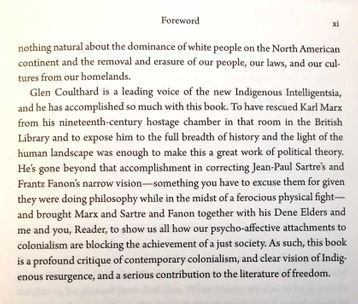 He was also Aboriginal. 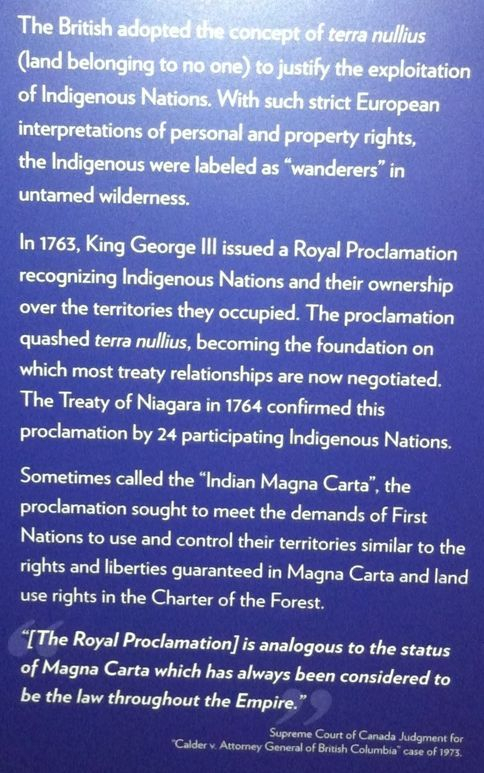 The Land Acknowledgement Challenges Us to Ask -- What Does it Mean to be a Guest in these Territories? 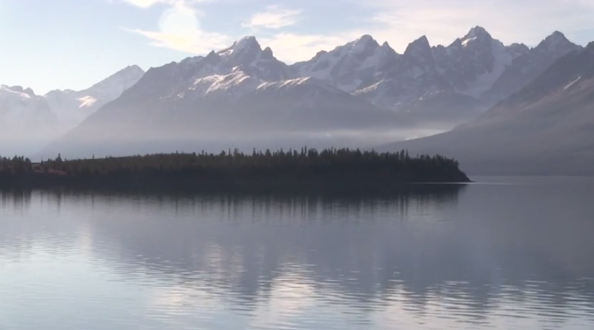 What Does it Mean to be a Good Person in these Territories? 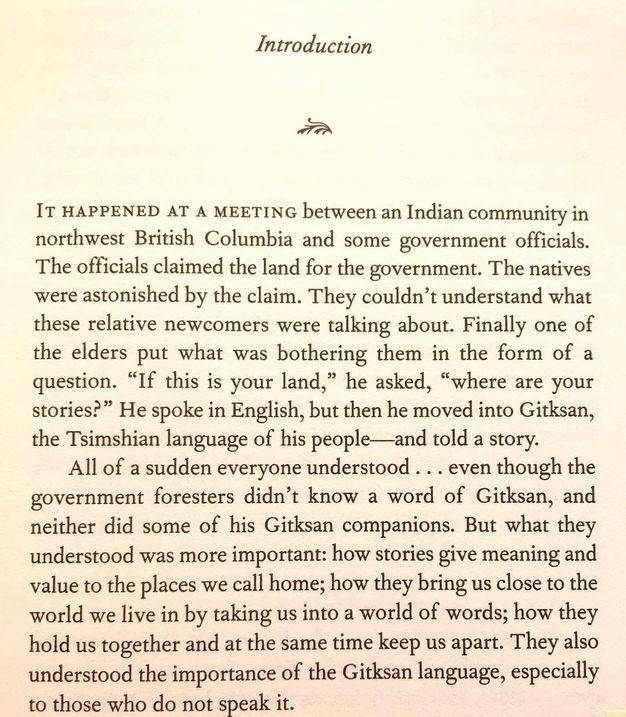 âpihtawikosisân is Métis from the Plains Cree speaking community of Lac Ste. 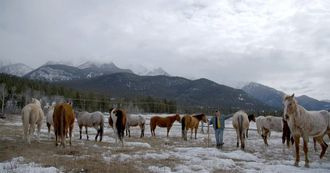 Anne, Alberta. She currently lives in Montreal, Quebec. 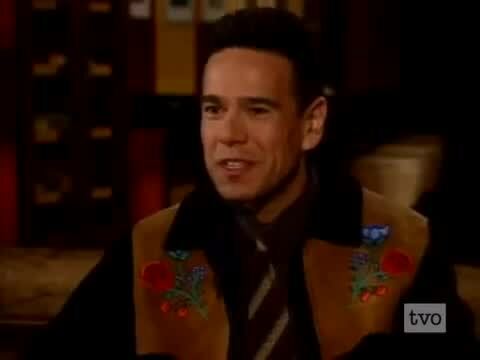 Her passions are: education, Aboriginal law, and the Cree language. 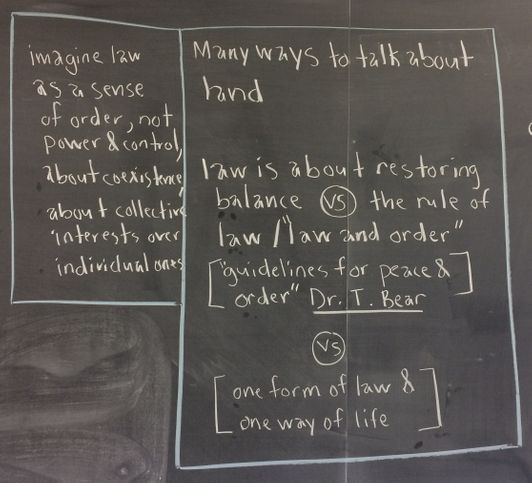 She holds a BEd, an LLB and teaches indigenous youth. 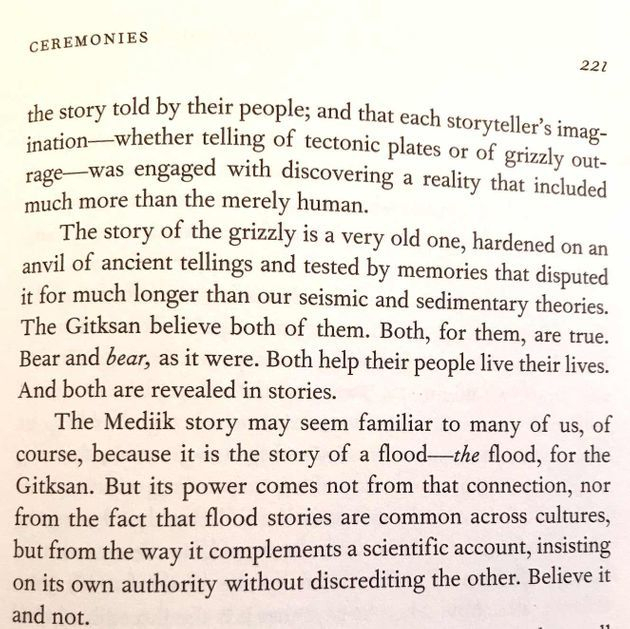 Her blog is http://apihtawikosisan.com.